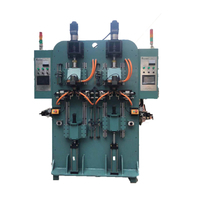 How the Auto engine valve be grinding by the machine? 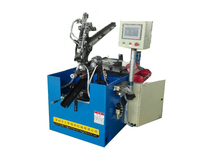 - Professional China Valve Grinder Manufacture- Suzhou Tianzhijiao Precision Machinery Co., Ltd.
Auto engine valve grinding machine is one process of the whole valve manufacturing machine production line, it is mainly focusing on grinding the six parts of Auto component in high precision. 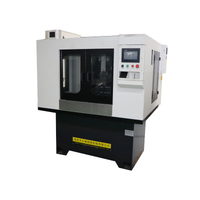 if you are a real kinds sizes valve manufacturing distributor, then you should know what matters the auto valve quality most, the valve is used in auto engine connected with inputs totally, so the precision is most important to the valve quality. CVVT is the abbreviation of English Continue Variable Valve Timing, which is a continuously variable valve timing mechanism translated into Chinese. It is one of the many variable valve timing technologies that have been gradually applied to modern cars in recent years. For example: the BMW company called Vanos, Toyota called VVTI, Honda called VTEC, but no matter what they are meant for different engine operating conditions match the best valve overlap angle (valve timing), but achieved The method is different. VVT: variable valve timing CVVT: continuously variable valve timing DVVT: double variable valve timing VVTI: intelligent variable valve timing system VTEC: variable valve phase and lift control system Single VVT-i is a one-way variable valve control, the engine rotation when there is a problem of control, the rotation area is only one side of the control, there may be dislocation of the rotating region of the phenomenon, so this time a very important issue is to Inhalation and exhaust to achieve a balance between the engine rotation range in any case can achieve the intake and exhaust balance. Dual VVT-i refers to the difference between the control of the engine intake system and exhaust system. In rapid acceleration, controlling the intake VVT-i will advance the intake time and increase the valve lift, while controlling the exhaust VVT-i will delay the exhaust time, the effect of a small turbocharger ,can effectively improve the engine power. At the same time, due to increased intake, but also makes the combustion of gasoline more complete, to achieve the purpose of low emissions. More advanced is the dual VVT-1 and DVVT, and you can carefully study the car's valve technology. Then we have explained the working principle that the auto engine valve. 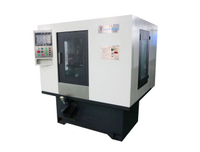 normally the engine valve is appearing in pairs, they are a little difference in grinding places according the requirements. 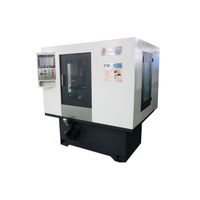 best auto valve grinding machine will accept 7 steps machining process, including the cut the steel bar, grinding the end of the bar, the strengthening the bar, R part grinding, round panel grinding, if there is strengthening for the two ends of auto valves, then plasma welding machine will play an important role in fixing and anti-worn works. What are the factors related to high fuel consumption? Do you know why car cold starting unstable and heavy duty?